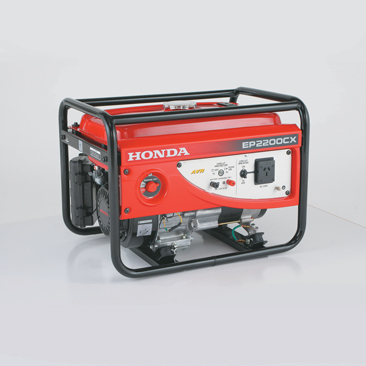 In keeping with Honda's reputation for smooth and quiet operation, the EP2200CX is fitted with anti-vibration engine mounts and large noise-suppressing mufflers to make your life easy. 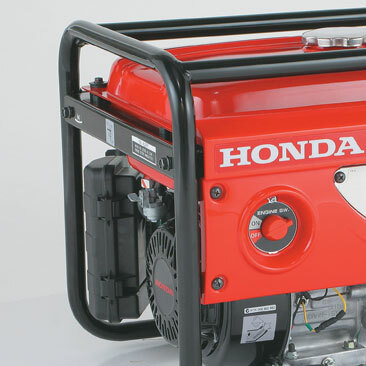 Its stable power delivery comes courtesy of Honda's Automatic Voltage Regulator (AVR) system, which automatically compensates for fluctuations when the generator's load changes. 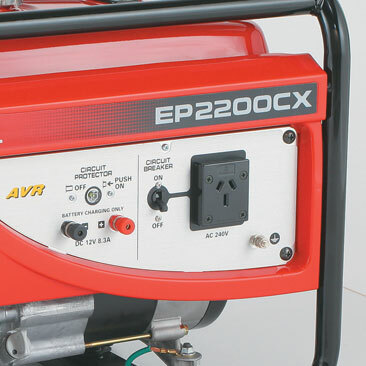 And for functionality and added safety, an AC/DC circuit breaker and oil alert light come standard, while an easy-to-use control panel features 15 amp sockets, battery charger and circuit protector.